Book online and pay securely with your choice of PayPal or credit card. 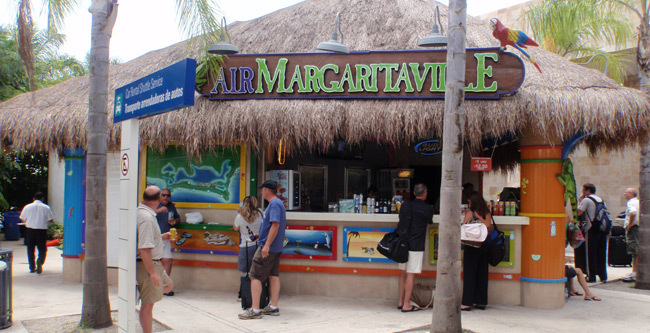 We'll send you the confirmation email vouchers to print and bring with you to Cancun. The vouchers have all the details you need. Aventura Spa Palace, Barcelo Maya Resorts, Catalonia Riviera Maya, El Dorado Seaside, Dreams Puerto Aventuras, Omni Puerto Aventuras, Portobello Villas, Sunscape Puerto Aventura, Villas del Mar, Xpu Ha Palace. You can add on COLD WATER for only $1 each and/or COLD BEER for only $2 each. We'll have it in the vehicle for you. Available on Arrivals transfers only. Hotel to hotel or other transfers... Not going to the airport or changing hotels? Email us for a quote here! CARM does not offer shared transportation. At Terminal 2, when you exit the sliding glass doors, look to the right to see all the greeters. 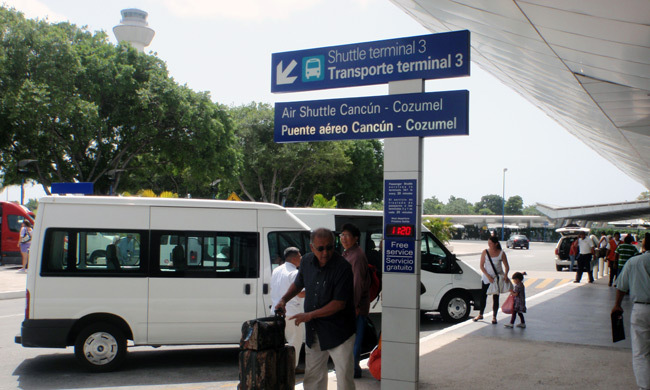 Cancun Airport only has 2 main terminals plus a charter terminal. You can see which airlines arrive to which terminal here. We take you almost anywhere! Please click on the other destinations above. Email us for a price if you don't see your town. I like to tip the driver about like I do a waiter...make it a percentage of the total based on service. Tipping is a personal thing, you can tip as little or much as you want. This is just my suggestion. 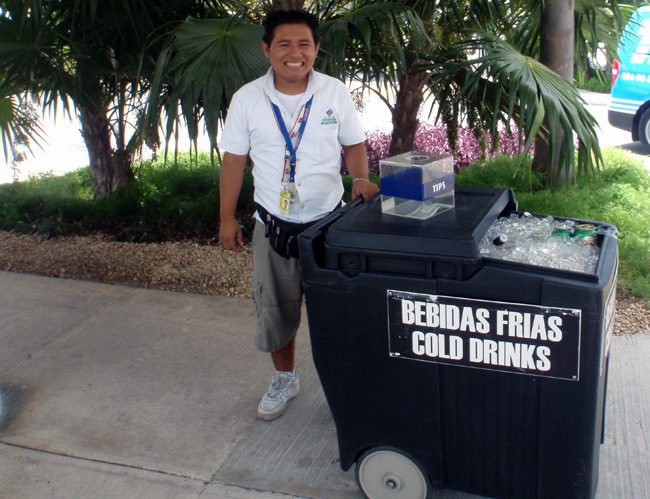 Basically for Cancun hotels $5 to $10 is a good tip. 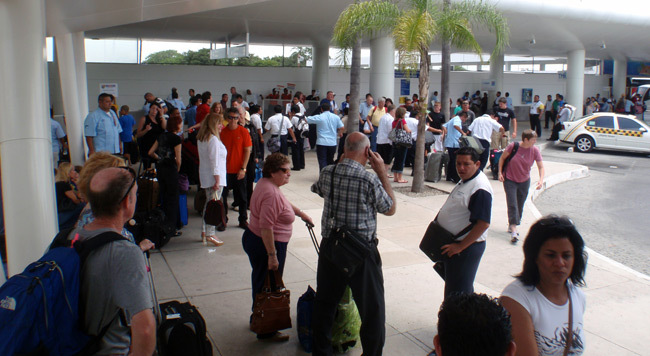 IF you are traveling further into the Rivera Maya you might want to tip a little more. The drivers know they must earn any tips.